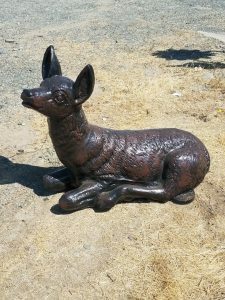 Each statue and piece or yard art is unique, and many people like to paint or seal their statue. 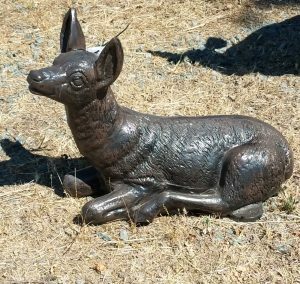 This means each statue needs to be quoted individually based on where it’s being shipped and what is being done before shipping. 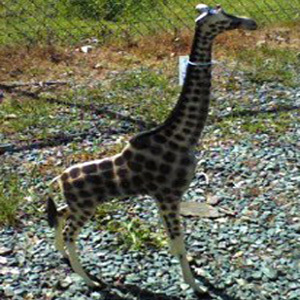 Each piece is unique, and many people like to paint or seal the statue. 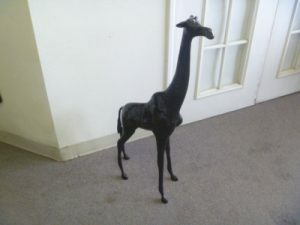 This means each piece needs to be quoted individually based on where it’s being shipped and what is being done before shipping. 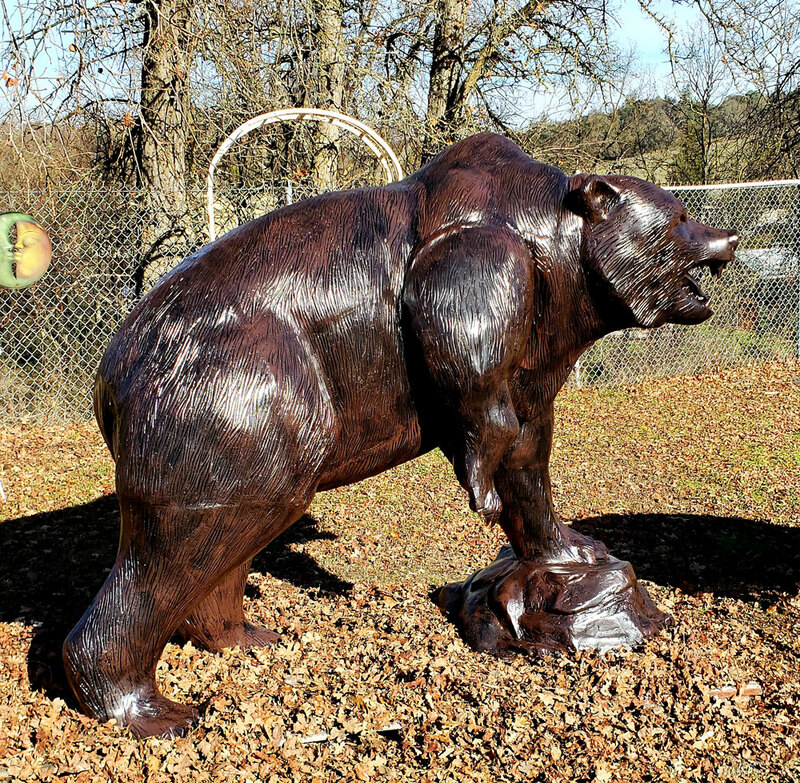 This Grizzly Bear on a Rock statue and yard art is cast from recycled aluminum. 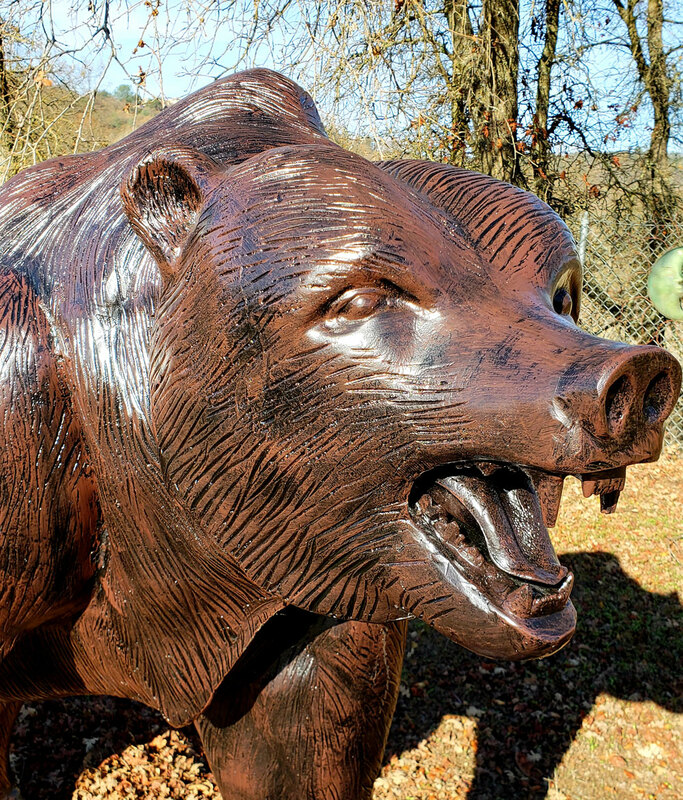 This grizzly bear garden statue is environmentally green, rustproof and will never rot. The cast aluminum is very thick and strong! Your Recycled Cast Aluminum Grizzly Bear Statue and Yard Art will be a treasure to last a lifetime. 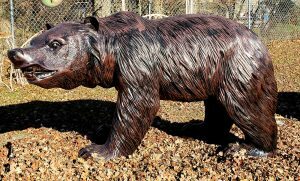 This Grizzly Bear statue will fit well in commercial indoor and outdoor gardens, home gardens and yard decor, theme parks, golf course ornaments, childrens play areas, museum displays, school displays or outdoor garden animal themed events. 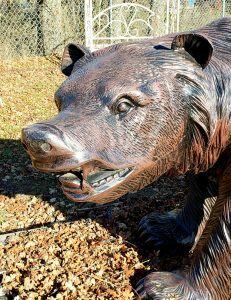 Angrily roaring away his rival, this husky grizzly bear yard statue with ferocious eyes and sharp teeth is a force to be reckoned with. 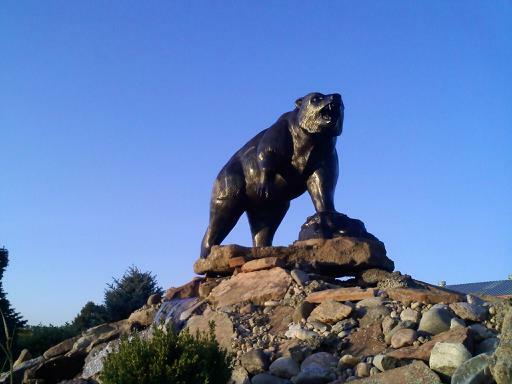 A grizzly bear is an amazing animal but their height and strength makes them frightening. Our beautiful realistic looking Grizzly Bear Garden Statue & Yard Sculpture is 78″ long and depicts detail right down to the grizzly bear’s fur, claws and teeth. Imagine how incredible your cabin, lodge, restaurant, hotel or any landscape décor will be with your own life sized grizzly bear yard art in the background; this bear statue will be an eye-catching highlight. 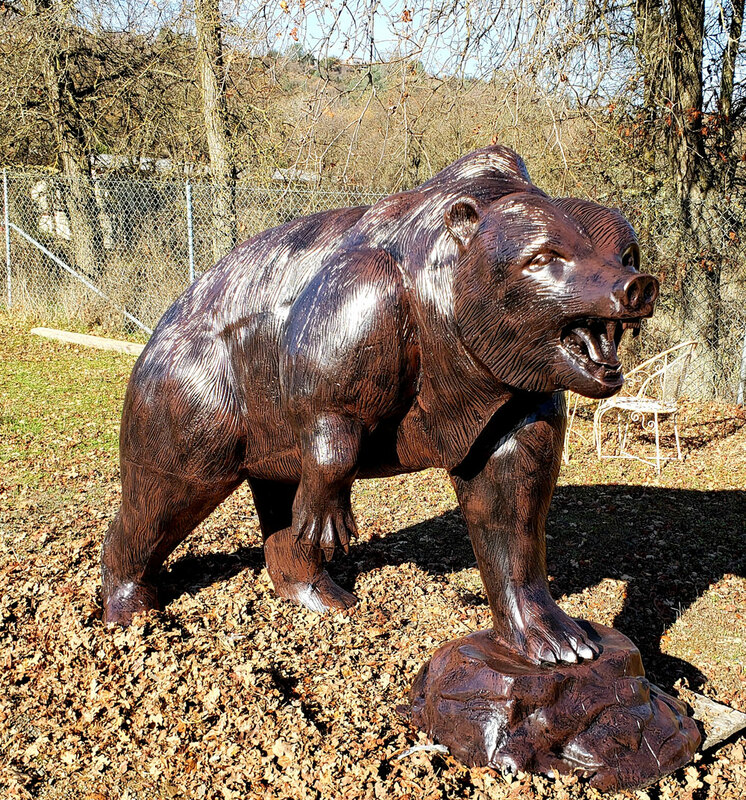 Contact us TODAY and mention code 7PMB13 to receive special pricing on this one-of-a-kind Grizzly Bear Statue.